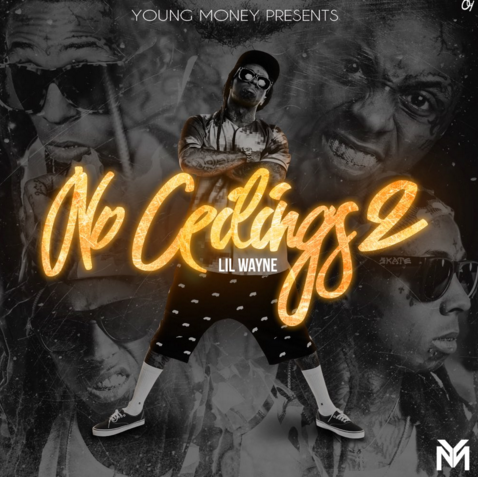 Download Lil Wayne's "No Ceilings 2" mixtape. Lil Wayne's highly anticipated No Ceilings 2 mixtape arrived, surprisingly without much delay. The rapper released leaks in the few hours that led up to the project's release, keeping fans happy (and on the edge of their seats). The mixtape contains 24 tracks, primarily made up of freestyles, however you'll see a few original cuts, including one with Mannie Fresh. The freestyle portion consists of popular records from Drake, Future, The Weeknd, and even some old Eminem. Take a look at the complete tracklist below, and hit play/download. Let us know if the mixtape lives up to your expectations. A worthy follow-up to No Ceilings?